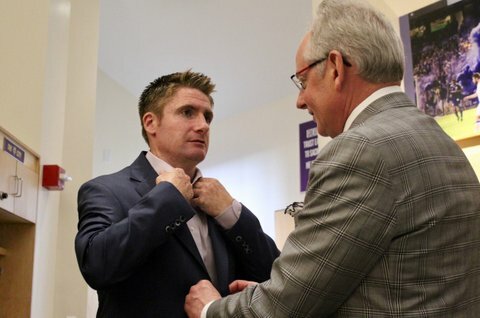 I was honored to be selected to dress Louisville City FC Soccer Coach James O’Connor. He is wearing a medium blue textured solid Microweave fabric that is wrinkle and stain resistant. We lined his custom suit coat with Louisville City FC purple. Coach will look great on the sidelines in his new custom suit from Executive Image. And oh by the way, the games are a blast. If you haven’t attended a Louisville City FC Soccer game you are missing a lot of fun!